On Episode 259 of WP-Tonic, host Jonathan Denwood and co-host Kim Shivler interview Rachel Cherry of WP-Campus (https://wpcampus.org/). 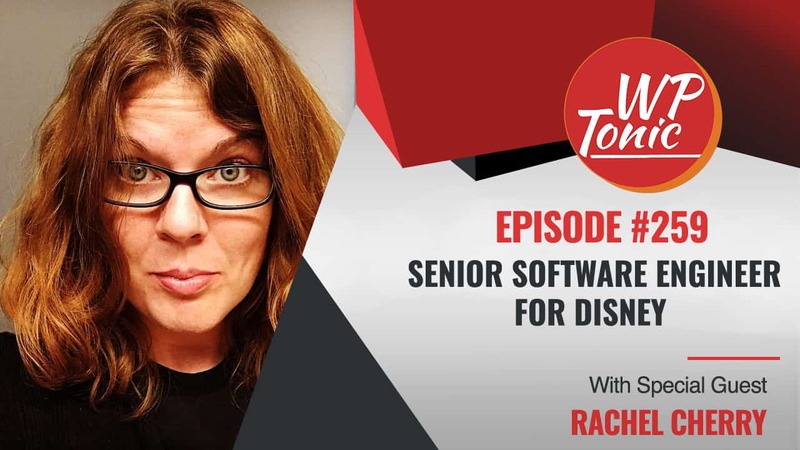 Rachel is a Senior Software Engineer at the Walt Disney Company in California. In the WordPress community, she is more well known as the founder and director of WP-Campus, a community for people in higher education interested in WordPress. This episode is brought to you by Kinsta Hosting (https://kinsta.com). This Premium WordPress Hosting Platform is the power behind WP-Tonic. Check them out today for your hosting needs. Although Rachel now works in the private sector, she spent much of her career working at universities where she became interested in the particular requirements for university content creators. Rachel explained that in higher education, you have scattered content creators. You have a few web professionals who setup your servers, but usually have to hand content off to professors and other professionals who aren’t necessarily technical. Universities have concerns around fresh content and accessible content. Rachel is known for talking about website accessibility because, as she told us, if you get federal funding as a university, you have to be accessible. WP-Campus is designed to help those in higher education get the most out of WordPress. Along with a podcast and slack channel, they have two live events per year. The next one is their Virtual Conference on January 30, 2018. You can grab two track’s worth of a day full of content for free at https://online.wpcampus.org/. They also hold a live, in-person conference and are in the process of finalizing this year’s location and dates. Jonathan: Welcome back folks to the WP-Tonic Show. This is episode 259. We’re in the New Year. We’re on a roll. We’ve got some fantastic guests and we’ve got a fantastic guest this week as well. We’ve got Rachel Cherry. She works with Disney. She’s been a leading member of WPCampus, a great member of the WordPress community and we thought we would have her on the show and we would have a bit of discussion. Would you like to introduce yourself Rachel to the audience a little bit? Rachel: Hi, good morning. So, I am a Senior Software Engineer at the Walt Disney company. I’ve been there, April will be 2 years, which is kind of insane. I moved out here to Los Angeles from Alabama where I was born and raised. I went to school at the University of Alabama, Roll Tide. Then I got my start in higher education. I worked at several universities, Mississippi University for Women being one, Samford University in Birmingham Alabama and then I made my way back to Tuscaloosa and worked about 5 years or so at the University of Alabama. And then that was when I came to Disney. So, I spent about 10, 11 years in higher ed before Disney. Mostly Web Development, a little Web Design, things like that. I actually as a Graphic Designer for a little bit. That’s what I have my degree in. So, I’ve been around a little bit. But I’ve really enjoyed all of my experience and my time with higher ed, which led to WPCampus. So, I am the Director and Founder of WPCampus, which is a community for people that WordPress in higher education. And so, we are an ongoing online and fairly active community, mostly in Slack, which is really great, a lot of fun. And then we have two conferences every year. We have our virtual conference coming up at the end of this month on January 30th, which is really great. It’s free all day from 9:00 a.m. Central to 5:00 p.m. Central. And then we have an in person conference in the summer, which we should be announcing the dates for soon. So we’re really excited about. And that one has been going on, those conferences have now been going on for a couple years. They are a lot of fun. We also have a Podcast and a bunch of other resources. It’s a great group to be a part of. Jonathan: Oh, that’s great Rachel. And I’ve got my co-host Kim Shivler. Like to introduce yourself Kim? Kim: Absolutely. I’m Kim Shivler. I’m an Instructional Design Consultant and Communication Strategist and filling in here as the co-host with Jonathan Denwood. Jonathan: Oh, definitely. And I’m the founder of WP-Tonic. We’re a maintenance support company with an emphasis on Membership and Learning Management Systems. But before we go into the rest of the interview, I’ve got to quickly talk about the sponsor of the show and that’s Kinsta Hosting. Now Kinsta, we’ve moved the WP-Tonic website about 3 months ago. It went flawlessly. Absolutely been delighted with the support and with the quality of the hosting in general. They’re sponsor of our Wednesday interview shows and I can’t highly rate them anymore really. So, if you’re looking for a great specialized WordPress hosting company or for your clients, go to the WP-Tonic site. In the show notes there will be a link. It is an affiliate link, I’d like to point out. But if you utilize it, you’d be supporting the show as well. And there are also some banners on all the key pages that will take you to Kinsta. And I suggest you should use them because they’re great. So, we’re going to go back into our interview with Rachel. So, Rachel, in education, you’ve got a very diverse platform of different technologies that are being utilized by Community Colleges, Universities and other forms of educational institutions, very strong enclosed platforms. And then you’ve got open source as well. How do you think in general WordPress is doing as being seen as a platform that an institution can utilize as their central web platform basically? Rachel: It does very well. I think open source as a whole just really fits in well with higher ed because of their underlying principles of open education and open publishing of information and such like that. So, in my experience, most Universities usually use some kind of open source platform. Some are closed off but are proprietary. And then also the ones that do use open source will usually use more than one. And kind of because of that nature because they want everyone to be able to use whatever they’re comfortable with. Although there’s a limit because they still have to support it in the end. So it’s usually one or two. WordPress being very popular. Drupal also being very popular. I’ve have Senior experience with Joomla, things like that. So, it’s kind of open ended in that way. But WordPress is probably the most popular. Because what usually happens in higher ed, especially in larger Universities, is that you have very scattered Content Creators. You have few Web Professionals who set up the platforms and educate and train people on campus on how to manage their website. But then, there’s not enough Web Professionals on campus to do everything. And so, they kind of have to hand it off to Content Creators who are usually like a Professor or an Administrative Assistant or an Office Manager in a department, things like that. And so, it’s a really interesting almost kind of, you could say case study for how WordPress is used and how Content Management Systems are helpful and also just how to make sure you’re doing it right. In higher ed, a lot of the concerns generally revolve around fresh content and accessible content, accessible being more important. And from a legal standpoint, in higher education, if you receive federal funding, you are required by law to be accessible. And so, that can be tricky in an open source Content Management System where you have large amount of Content Creators. And, how do you control the content and make sure it’s sensible? And that’s where other tools come in handy. But that’s definitely a main concern and then freshness of content. A lot of problems that we would have is where people would copy and paste content, move it around. And the original source, it would get updated but it wouldn’t get updated everywhere else. This is where I was really excited about, like the REST API coming into WordPress because this would start to help with that problem because you could put information that you want to be widely available in an API feed and then people could just pull from that. I am not sure how many people are really taking advantage of that. But that, from my point of view, was what I was really excited about for it. Also, in higher ed, you have a lot of different, I guess you could call viewpoints for the Web. So you have your websites but you also have machinery. You have Kiosks. You have things like that. You have people walking around with devices on taking tours and things like that. You have a lot of outlets for your information. And so, that’s where the API can really come in handy for making sure your information is spread around to where you need it. So that’s really cool. There’s lots of really interesting use cases for various WordPress functionality in higher ed. And the fact that anyone on can campus can come in and easily extend it or customize it without having to go through a proprietary system, is really helpful and kind of what makes a difference. Jonathan: Yeah. I think that’s great Rachel. I think you think that the REST API probably has made a big difference because I think it was one of the strongest arguments against WordPress compared to Drupal where you, was it like in the University of Reno? I know that for a number of years that’s been a Drupal shop. Almost all the websites a part from, not exclusively, but almost all the websites in the University of Reno are driven by Drupal. And I think that was one of the big arguments for it compared to WordPress in the scenario of need basically. So I think that’s good news. But you were saying about accessibility and about the problems in the educational environment about keeping it accessible. You hinted there are some tools and methodologies to help with that. Would you like to go into a little bit more detail about that? Rachel: So, there are a fair amount of tools you can use to scan for accessibility. And so, a lot of schools are doing some really cool work with wide scale scanning. There are some proprietary tools that you can buy that will take care of it. I will say when I was as the University of Alabama, we had a great tool called Siteimprove that we used. But that wasn’t, you know, it was pricey, it was worth it but it was pricey. If you don’t have the budget, there are tools you can implement yourself. I will kind of give a nod to Washington State University. Jeremy Felt built some really cool tools. It’s all on their GitHub that you can go and look at it, which is great. He did a talk on it at WPCampus last year. And there’s a video on our website where you can watch him talk about the tools. So I would check that out. And then, North Carolina State University’s doing some cool work with Brian. Brian talked about it at WordCamp US in Nashville, how they’re building out these tools for wide scale testing. Basically, it’s just a way to scan a site and then get the data. The first step is obviously education. You have to educate people all the people on campus. But then, you can implement your themes and stuff in a way that really helps guide them along. But in the end, there’s always going to be those of things that you have to scan. And in higher ed, they really love things like PDFs. Jonathan: Yeah. They love their PDFs. Rachel: That one’s a struggle. Alabama was trying to rein in the PDFs. In our case, what happened was they went so long without a Web person that their solution to putting stuff on the Web and not knowing HTML was putting it in a PDF and then putting it online. And so, that was definitely an issue. PDFs are really hard to be accessible. And so, a solution there was obviously having resources. They had to have a person to fix that problem, if they had a person to begin with. So there are lots of issues like that in higher education and stuff like that. Those tools are really cool. And both N.C. State and Washington State open source their code. So you can go and check it out. I think Brian even put the N.C. State plugin in the or he was going to. But if you want more information about that, you can contact me and I can point you in the right direction. Jonathan: Sounds great. Because in general, if you’re interested in utilizing WordPress in your educational establishment, that’s a great resource in general, WPCampus, isn’t it? Because you’ve got a lot of materials on there focused on that particular area, haven’t you? Rachel: Yeah. We record all of our sessions and put them on our website. You can go watch them at any time. They’re also on YouTube. We have a blog. We’re starting a resources document. We have a really great accessibility document that is long and has tons of information on how to get started, some resources, some articles, references and then a whole, probably three page long list of tools that you can use to help you scan for accessibility and help you learn. And what’s great about most of the tools is that when they tell you what’s wrong, they’ll usually tell you why and how to fix it. And so, it’s also just a great learning experience too because you’re not just expected to know but they’re helping you along the way. And then, the more you do it, the more comfortable you become, the more you learn. And then, it’s just this really great cycle and it really makes a difference on the Internet. I’m a big fan. Jonathan: Thanks for that Rachel. Once a year you do a virtual meetup, more than a meetup. And you do a physical conference as well. The words I was looking for are virtual conference and a physical conference. So, you were saying that the virtual conference is the end of this month, isn’t it? Rachel: Yeah. It’s on January 30th, which is a Tuesday. It goes all day from, we start at 9:00 a.m. Central, which is 7:00 a.m. my time. It’s going to be an early morning. And then, we go until 5:00 p.m. Central. We have two tracks. And so, it’s 16 sessions. It’s all virtual. It’s all free. You can watch from your computer all day. There’s two rooms you can join, things like that. Each room has a chat. You can ask questions for the speakers. And then, we usually just encourage people to continue conversations in our Slack account. But it’s a lot of fun. This is our second time and it’s just really great event. We started it and we plan it because accessibility reasons, as far as like people having access to the content. We know the travel budgets can be tight, especially in higher education. Time can be hard to get away. And so, we treasure our in person conference but we want people to be able to still consume the content and to share and to speak. So I mean, we know that not all speakers can come to the in person. So the online is a chance to participate without having to spend money and time on travel. So, that’s we started it and why we love it so much. Jonathan: And we have links in the show notes to the virtual conference page folks. So, the physical conference, have you got a date fixed for that yet? Rachel: We’re finalizing that now. We hope is to announce it the online conference but if not, like really shortly after. We have a date and a location in mind. So we’re just kind of tying down all the details before we can announce. But we’re really excited about it. Jonathan: So, you’ve been doing it for a couple years and you’ve been quite involved in that, is that correct Rachel? Rachel: Yeah. We started in fall of 2015 and then we had our first conference, the in person conference in the summer of 2016 in Florida. And so, that was a quick turnaround and a lot of fun. We had a great time in Florida. And then, we started the online conference in January of last year. Then we had our in person this past year in Buffalo, New York. We moved around. Jonathan: You’ve been moving, haven’t you? Rachel: We do. Our goal is to have, we have the event on an actual college campus. And then, to move each year so that way we can be, also to kind of increase accessibility so we can be a little closer to move around. So, if it all works out this year where we want to be, we will move West a little bit. So we’re excited about that. Jonathan: Well, I’m intrigued. I might be able to come myself. What have you learned about running two physical WordPress conferences then? Any key things you’ve learned with that? Rachel: Oh, man. There’s probably a lot. If I thought about it for a minute, I could lay that out. I will say it’s a lot of fun but it’s a lot of work. Rachel: And I do a full-time job at Disney so it’s all my spare time. But I love it. I’m very passionate about it, which helps and I do have a lot of help. It’s not just me. A lot of people in the community are really involved and help planning. And so that’s really what makes a difference. I mean, I couldn’t do it by myself. And so, it’s a really great kind of bonding experience with everyone involved because everyone’s excited about it. It’s also a challenge to plan a conference in a city you don’t live in, especially when you live in California and the conference is in New York or in Florida. So, that brings a whole other challenge. But we have people on the ground that are passionate, that are helpful. I make a lot of early Pacific time phone calls to people that are Eastern time and things like that. You just have to have a lot of go-get-them attitude and a lot of passion for it and everything else will just kind of come if you put in the time. But it is a lot of fun. It allows me to meet a lot of great people and to learn a lot about what’s going on and just interact with some great folks. We have a lot of really great members in our group that are really helpful in Slack. If you’re thinking about joining the Slack, it’s really great. There’s always some conversation going on. And it’s not too overwhelming. It’s not like it’s nonstop chatter. But we have channels for everything. Any time someone comes in there and asks a question, they usually get an answer within a few hours, which is really cool to watch. When we want to put together a resource, like when we wanted to assemble accessibility information, I literally opened a Goggle doc and within probably like an hour or 2, we had four pages of information that people in the community just jumped in the doc and added it. And so, watching that, it makes it all kind of worth it and it just really makes it special and special to be a part of to know you’re helping higher education in a way. Jonathan: That’s great Rachel. We’re going to go for our break and my co-host is going to take the lead, Kim. So, we’re going to go for our break folks and continue this really great discussion with Rachel. Back in a few moments folks. Jonathan: We’re coming back. We’ve had a great discussion with Rachel Cherry, all about WordPress and education and WPCampus. I’m going to hand it over now to my great co-host Kim. Off you go Kim. Kim: Thank you Jonathan. Rachel, last time we spoke, I looked it up. It was March of 2016 and we were talking about using WordPress as an LMS, a Learning Management System on campuses. And at the time when we talked, a lot of people were using WordPress but more as just a publishing platform. They hadn’t quite taken the launch into truly using it more in the learning management. They were still using more of the kind of traditional Learning Management Systems that have been around education for a long time. Have you seen a change there in that last year and a half? Rachel: I will say that I have seen a growth. I can’t really say how much. But we have more and more discussions about it in our Slack. We usually have a fair amount of submissions to talk about it at our events, which is great to see. You’re right. The majority of WordPress usage is for just general marketing purposes. Also, people use a lot for research, which is great. Use it to display and gather research data. When I was at my last school, I built a whole system for it. And so, that’s another great use for it. And so then you do have the WordPress in the classroom type scenarios, whether or not they’re straight up using an LMS or they’re just using a general WordPress platform to help them with class information and things like that. And so, there are a lot of proprietary LMS systems. But there are a couple of really great LMS WordPress environments which are really great to see. And I do think people are taking advantage of them. I’m not a teacher. 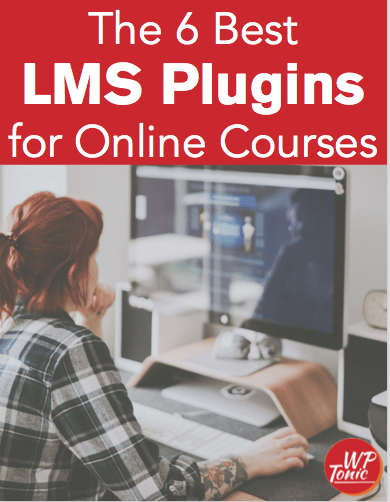 I can’t talk too too much about LMS’s and how they’re used. But I do think that as the technology grows for them, as the plugins get better and better, you know, that stuff, and I see that, I think they are becoming more and more used because people do see the benefit of, A, it’s much cheaper but B, they own their content and things like that and they probably have more control over what they can to versus proprietary systems that are given to them at the University. Kim: Absolutely. And one of the things I have heard about that, because I’m a teacher and I work with LMS’s and all, one of the things I’ve heard and this is in education as a whole, not just higher because I’ve been actually working with some people who are more secondary and high school, middle school type education, is the issue of getting support from the IT departments that have already adopted these other things, these other proprietary systems, whether it’s Captivate or whatever. And then, they’re looking at it saying, “No, we can do it with this. We can do it cheaper. We can have more”, exactly like you said, customization, whatever we want. But the challenge for them then is that, a lot of times they’re not allowed to just set up a server and manage it because of security and firewalls and all and it’s getting from the IT Department. Are you seeing us move forward with that in higher education? Rachel: So, as in most environments, there’s a lot of politics in higher ed. For a while, years ago, I think it’s getting better but for a while, WordPress, from my experience, definitely had some issues in higher ed with the way that IT viewed it and a lot of it stemmed around security. And from my experience, the reason for that is, what would happen is people on campus would set up a WordPress install and then set up their site and then never touch it. And then, because no one was monitoring it and no one was kind of, “Hey”, you know, checking out this website, there was no central way to, like a manage dashboard or something like that. Two, three years later goes and that site gets hacked. And so, shocker, everyone’s surprised. But that happened over and over again. And then, WordPress got a stigma in higher ed IT that it wasn’t secure. And so, I see that attitude changing a little bit as people get a little bit smarter with how they set it up and integrate it. But you do have to have which is a whole other conversation. I’m a big proponent of Web governance. You need to have some kind of governance at your school in order to say like, “Hey, we’re going to use WordPress”, and things like that. And that’s definitely an interesting struggle. It’s worth it. When you find the schools that are doing it right, you’re just like, “Yes”. I say that the attitude is changing a little but that also varies from school to school. It’s definitely worth having a conversation with and with whoever you need to have it with and just sit down with them and talk with them. Push comes to shove, try to find some allies on campus that can go with you. If you have Web governance, talk to the governing committees, things like that. There are channels and you may have to put in a little bit of effort but I think it’s worth it in the end. But, yeah, definitely, there’s politics come into play when it comes to setting up some other stuff. Kim: Right. And fairly to the IT people, if a site is just abandoned, there really is a security issue. It’s not that WordPress isn’t secure but if you’ve got something abandoned out there, I can see their concerns for that. Have you seen any? Because you mentioned some schools doing it better than others. Are there any specific systems or practices that you’ve seen that have worked really well to allow the IT department to kind of keep track of making sure these sites are updated and they’re not abandoned somewhere so that now you’ve got some email spam campaign launching off of them and it looks bad for the University’s IP or gets it blacklisted, even worse? Rachel: I think there are a variety of methods, two come to mind quickly. Multisite is one because it does allow you to set up a plethora of websites that are all run off the same core. So, as long as you update the core, you’re pretty good. They’re obviously some problems that come from that, management problems in the sense of if you do break anything, you’ve broken all your sites in one place. So things like that to think about. But a lot of Universities use them, they use multiple sets of them and they’ll use them for blog publishing platforms, like for faculties. So if you’re a faculty on campus and you want a blog, then you fill out a form. You get added to this multi-site network. And that way, everyone has access to the same probably two or three themes. All the plugins are pre-approved. It creates a very secure, very easy to control environment that makes sure that all the sites can be audited very easily. They can be kept up to date, things like that. Another way to do it is to have separate sites that definitely have some kind of system set in place to manage them all and there are different ways to do that. Some of them can be technical. There are services out there that already exist. I don’t know how many of them are really used in higher ed but there are things like, I believe like ManageWP, stuff like that, that allows you to kind of keep audit of your WordPress sites and the data and what plugins are on them and what version core. There are a variety of ways to handle that and even ones that you can build your own. And that way, if you take this approach where, in order to have a site on campus, you have to fill out this form, there’s a process. And that’s kind of where governance comes into play too, to help you with that. There’s a process for everything. You fill out a form, you get a website. Maybe once a year all the sites are audited. You’re contacted to make sure you’re still the owner of the site. And if you’re not, can take it down, things like that. There’s a process that you can go through to kind of help reinforce these problems and make sure that all of your websites stay healthy. And so the problem, you know, in olden times that would come up and why these sites would be abandoned and hacked and things like that is because those places didn’t have any kind of system set in place. They would just kind of set up WordPress sites willy-nilly. There was no law. There was no management. There was nothing. And then, shocker, sites were forgotten about. And so, there’s a way to do it and it’s not that difficult. And so, what just happens is that people have to be a little four sided about it, come up with a plan and just carry it out. Kim: Excellent. Thank you. I’m excited to see it getting bigger, you know, within the education space as a whole not just higher ed. Education as a whole, it excites me because I know that, I’ve had people approach me and say, “My college just says, absolutely not. It can’t do what we need it to do”. They’re not looking. They’re not looking at it if they say that. So, excellent. Thank you for sharing. I will turn it back to my host Jonathan. Jonathan: Yeah. I think we’re going to wrap it up now for the actual Podcast part of the show folks. We’ll be continuing the discussion with Rachel which you’ll be able to see on website. We have a full transcription of the interview and all the most relevant links that came up during the show. Also, you’ll be able to watch the interview and the bonus part after the audio recording on our YouTube, which has over 200 of our interviews and our Round Table shows, which we have on Fridays at 9:00 a.m., which you can see on the WP-Tonic Facebook page as well, if you want to see all the interviews as well. So, Rachel, how can people get a hold of you and learn some more about what you’re doing? Rachel: I’m usually pretty active on Twitter. My handle is bamadesigner, which is pretty much my handle for all social media. My website is bamadesigner.com where you can find some more links about me and things like that. WPCampus.org is where you can go to find out about our community and to get involved. And yeah, that should take care of it. Jonathan: And Kim, how can people find out more about what you’ve been writing, what you’ve been up to lately? Kim: You can find out about all my programs at kimshivler.com. You can find me on Twitter @kimshivler. Jonathan: And if you want to find out more about WP-Tonic, go to the WP-Tonic website. We’re going to have some great new content this year, especially around learning management, how to set up a membership site. We’ve got big plans with content. You can follow me on Twitter @jonathandenwood or you can go to our Facebook page and our group and join the conversations there. We’re going to end the Podcast part of the show. Join us next week where we’re going to have another great WordPress guest. We’ve got some great guests this month and in February and we’ll see you next time. Bye folks.